On the weekend I hosted a skincare and makeup workshop with a group of women who were (mostly) in their late 30s and early 40s, and the discussion naturally came around to anti-ageing. I introduced them to the idea of using a retinol product to help manage fine lines and skin texture issues, and it occurred to me that there were probably many of you who didn’t fully understand retinol either. Retinol helps the skin to regulate certain functions (like cell turnover) which deteriorate over time and with sun exposure. They also help to slow down collagen breakdown and stimulate the production of new collagen. What’s the difference between retinol and retinoids? Retinol refers to the (lower) cosmetic concentration in over-the-counter skincare formulations, while retinoids (or Retin-A) are prescription skincare products with a higher concentration of Vitamin A. The latter is stronger and potentially more effective, but it can also be more irritating to the skin and isn’t necessary for everyone. For the purpose of this post, I’m just going to be talking about retinol. It is generally accepted that you should start introducing retinol into your skincare routine in your 30s, and be using it regularly by the time you hit your 40s. Obviously this is just a guideline, although it is definitely unnecessary for younger skins i.e. don’t start using it in your 20s hoping to stave off wrinkles – its specialty is reversing existing damage. The most important thing to know when starting out with retinol, is that you need to build up your skin’s tolerance by using a lower concentration (e.g. 0.5%) in the beginning and only a few times a week. You can then work your way up to a stronger concentration (e.g. 1%) every day/night or every other day/night. Use a small amount (pea-sized blob) for the whole face; using more just increases skin irritation, not effectiveness. 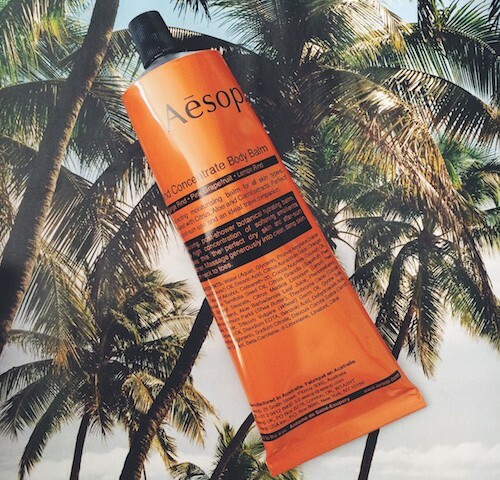 Dryness can be a problem so don’t be scared to layer your moisturiser on top. 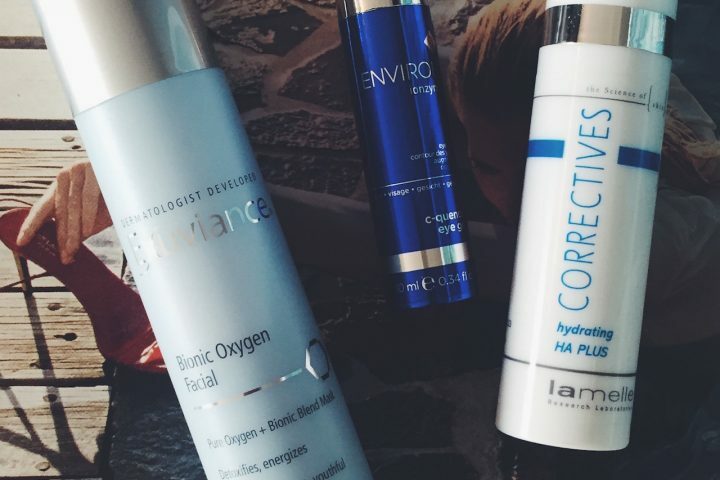 Where does retinol sit in my skincare routine? Think of it as a serum, so apply after cleansing (and optional toning) and before your moisturiser (and sunscreen during the day). I have been using Paula’s Choice Clinical 1% Retinol Treatment (R1070 for 30ml) for about a year now and really like it. It has an emollient texture so it’s very comfortable and I can use it on its own without adding another moisturiser, although if you have dry skin you certainly can. Next on my list to test is the Exuviance Super Retinol Concentrate (R850 for 30ml) which was recently sent to us to trial. This product also contains a 1% concentration but has a lighter, more serum-like texture so probably a bit more practical for layering with other skincare products. Other well-known retinol products that get positive reviews include SkinCeuticals Retinol 0.3 (which is pure retinol and also comes in 0.5% and 1% concentrations) and Neutrogena Ageless Intensives Deep Wrinkle Serum (which is easily available at Clicks/Dischem although I can’t seem to find out what percentage of retinol the formula contains – I’m guessing it’s fairly low though). There are a number of myths and misunderstandings floating around about retinol e.g. that it makes you extra sensitive to the sun, or that you can’t use it when you’re pregnant. Rather than repeating them all here, I suggest you read this article by skin guru Caroline Hirons for all the details. As far as I’m concerned, what she says goes. I have been using the Dermaceutic one for a while. I stopped using it for goodness knows what reason, and I have never seen my skin in such bad shape, so I quickly added it back into my routine. It really helps with clogged pores too. Sorry for sending a message to an older blog. But I’m still a bit unsure on a few things when it comes to Retinol. Like, lets say you start using Retinol, i know you start using it maybe twice a week to build tolerance, but is that 2 consecutive nights, or do you skip a few nights before the 2nd application? Then next question, do you just use Retinol continuously, or do you use it for a few weeks and then take a break for a week or so and start again? 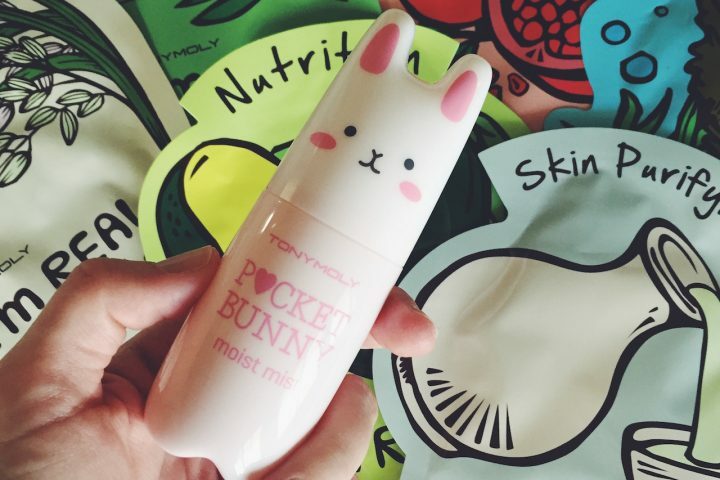 How do you use it, can you give a more indepth skincare routine? Hi Shaunees – no problem, these are great questions! 1 – When I say use it twice a week, I mean with a few days break in between e.g. Monday and Thursday. Keep in mind you should also build up in intensity so maybe start with a 0.25% concentration for a few months and then upgrade to a 1% for example (stick to lower concentrations for more sensitive skin). 2 – You should use it continuously but this is completely up to you and your routine. I have professional facial peels so I can’t use it all the time (I stop a few days before and after the peels, which I have every few weeks) but you can. As with all skincare, in theory, the more consistent your use, the better the effects. 3 – The retinol I’m currently using (Exuviance Super Retinol Concentrate) goes on after cleansing at night (sometimes I layer a hydrating serum underneath) and then once it has sunk into my skin I put a little bit of moisturiser on top for comfort. 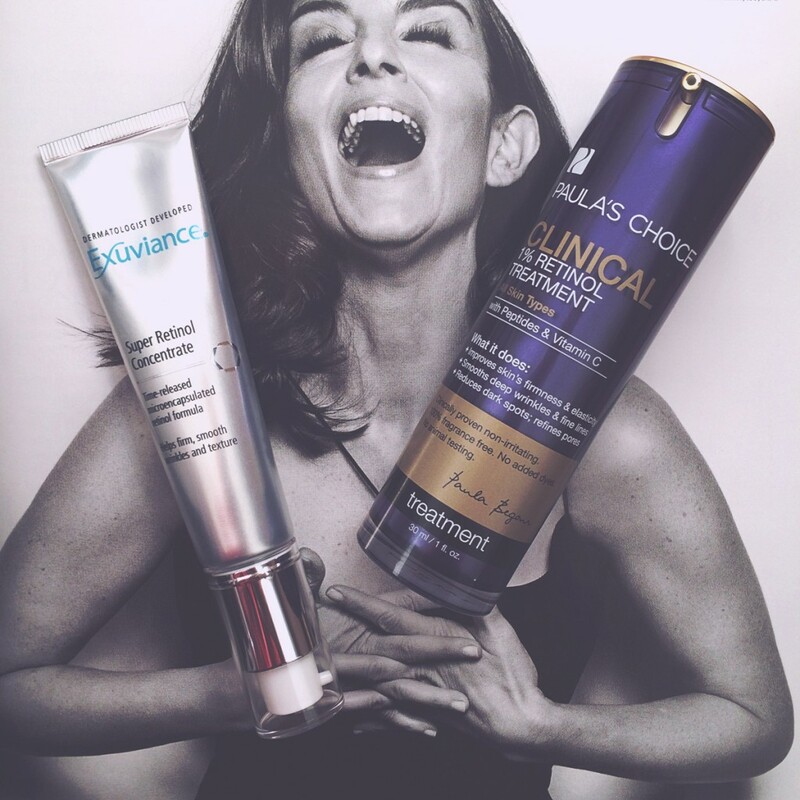 I personally use it about twice a week – the Exuviance one is 2% so it’s pretty strong. I am planning to shoot an updated skincare routine video so look out for that in a couple of months. Thank you very much Jules, this helps a lot and I see you can layer a serum underneath as that was going to be my next question. Can’t wait to see you updated skincare video.